Meridian is Ontario’s largest credit union, helping more than a quarter of a million Members grow their lives and businesses. As a credit union, we are 100% owned by our Members. We work only for them, with profits returned to our Members in the form of the best products and services we can offer. 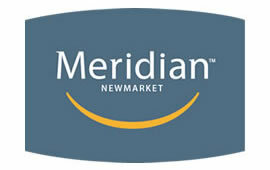 When Meridian first came to us, they needed a marketing boost and knew we would be a great fit. Five years later we still have a strong relationship with Meridian and have had the opportunity build their website and push the boundaries of their current inbound marketing efforts.